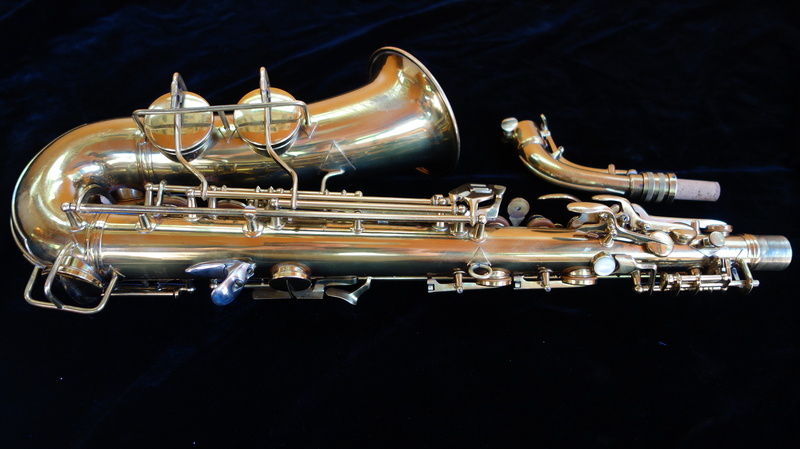 This is a just-overhauled and ready to play 1933 Conn 6M Transitional alto saxophone in very clean original condition, with original lacquer (one of the first lacquer horns Conn sold!) at about 98%. It has just undergone a full overhaul with flat metal resonators, and this 40+ hours of labor is included in the price. 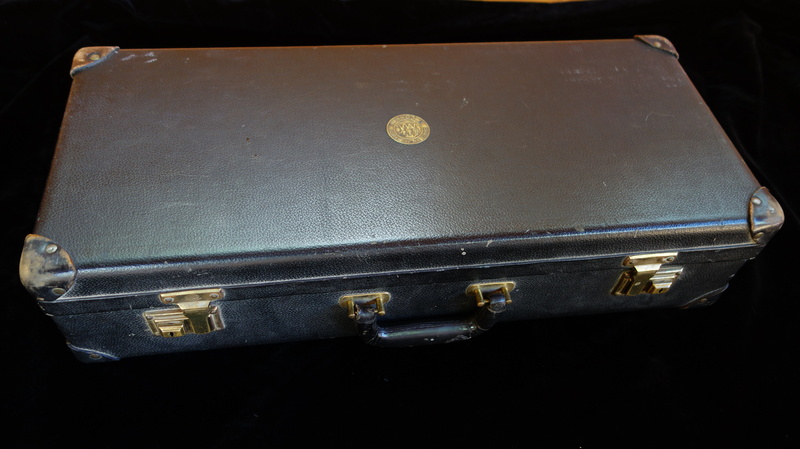 It also comes with its original case in exceptionally fine condition- so nice I’d recommend using the original case as your daily case for this horn- and also the original mouthpiece, ligature, ligature cap, strap, and Conn pad measuring tool. 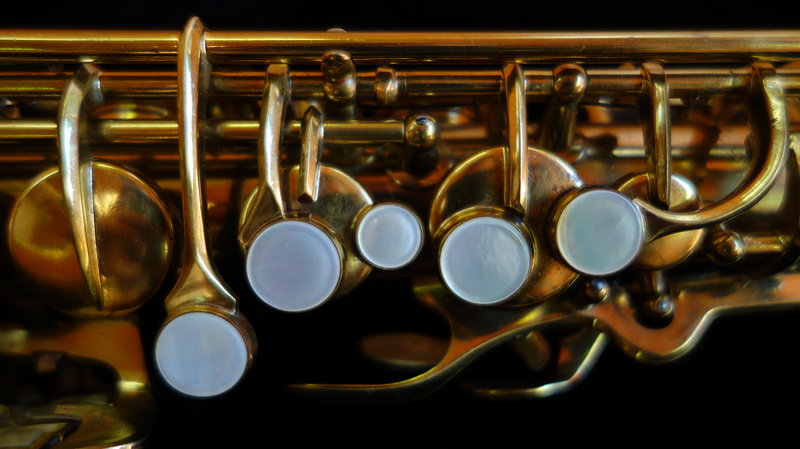 It is a fantastic alto with crisp and instant response and a warm, round tone that is ready to play out of the case. This horn came to me wearing its original pads. I love original pads horns, because the ravages of time are nothing compared to the ravages of an inexperienced or unscrupulous human with pliers. 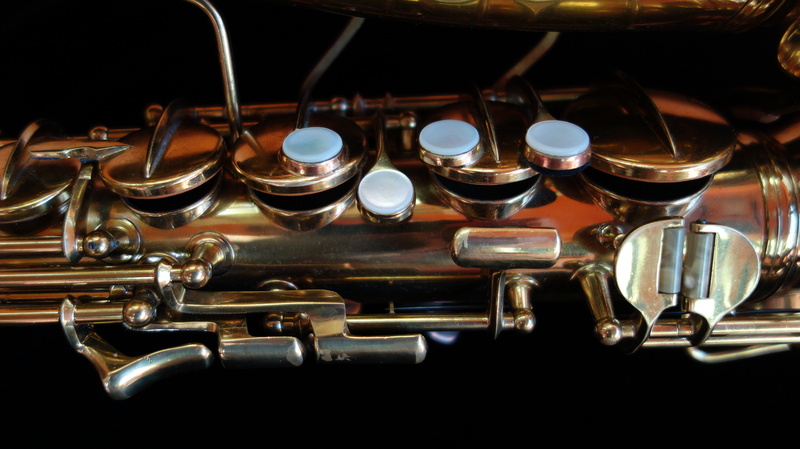 When finding a horn this old with its original pads (especially if it still plays a bit on them, like this one did) means that the saxophone is as close as we can come to original condition, with no mysteries or variables or surprises waiting within. 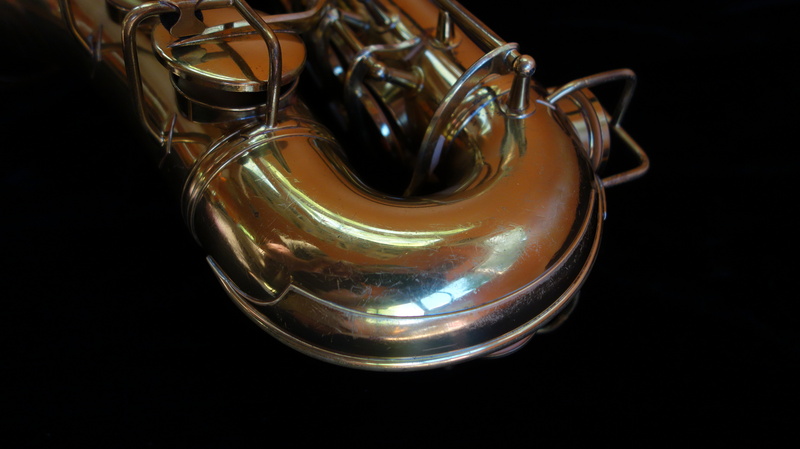 And once an overhaul is complete, the experience of purchasing a horn like this one (of which there are not many!) 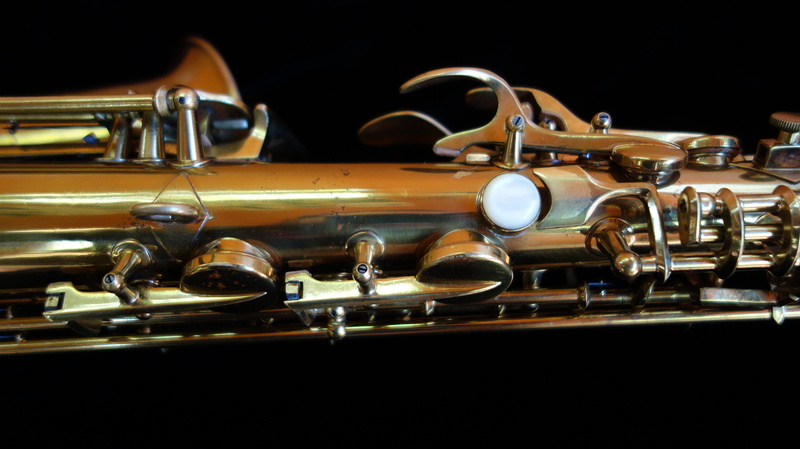 will be very nearly like buying this saxophone new in 1933. 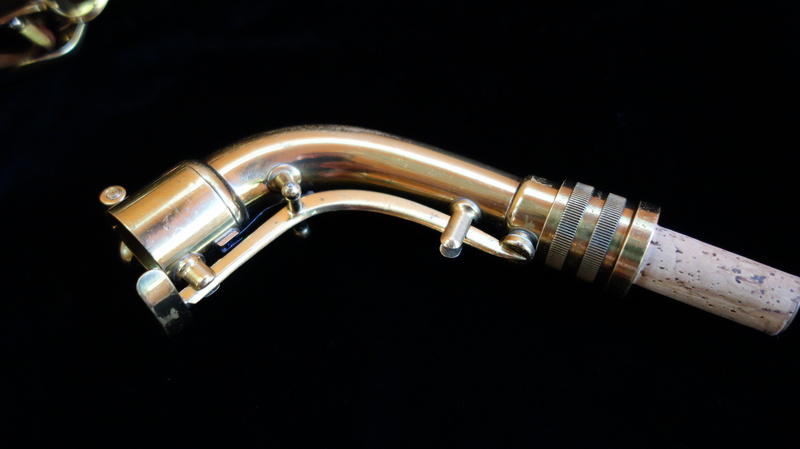 I love working on horns like this, and if you end up being the purchaser of this saxophone you will also fall in love with the experience of owning such a clean, original horn. 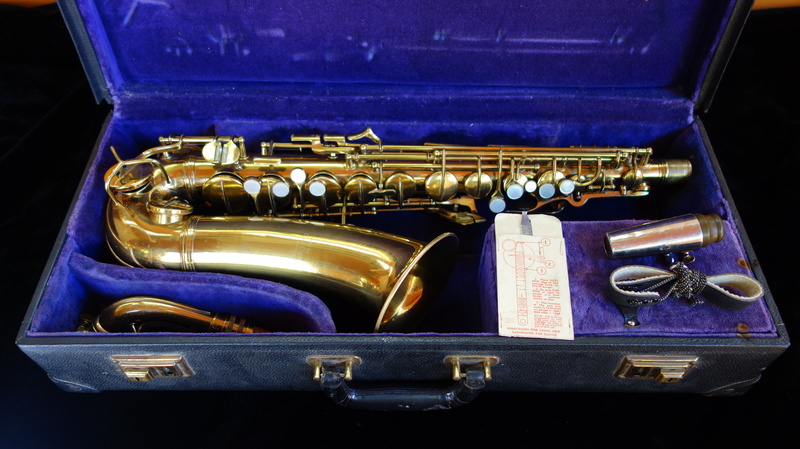 Important note about the finish on this horn: When I bought this saxophone, I assumed I was buying a relacquer based on what I could see in the photos, but I was surprised when I opened the case to find what is actually one of the first original lacquer Conn transitionals. 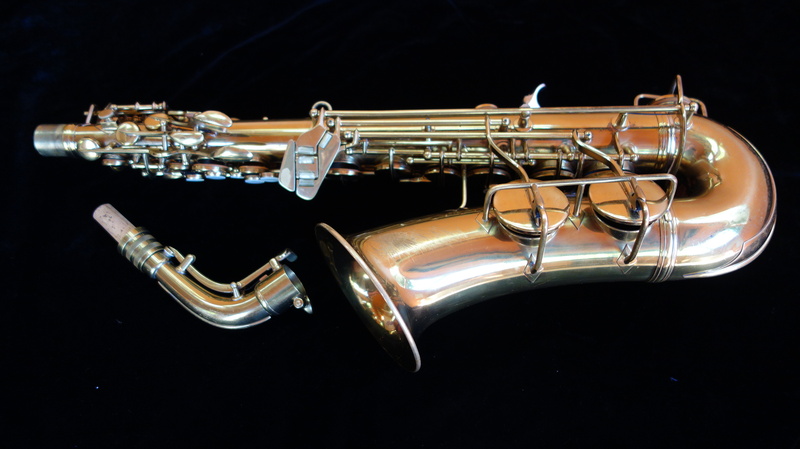 You see, lacquer was not an option until the early 30s, and most saxophones were sold either as bare brass or much more often, silver plated. 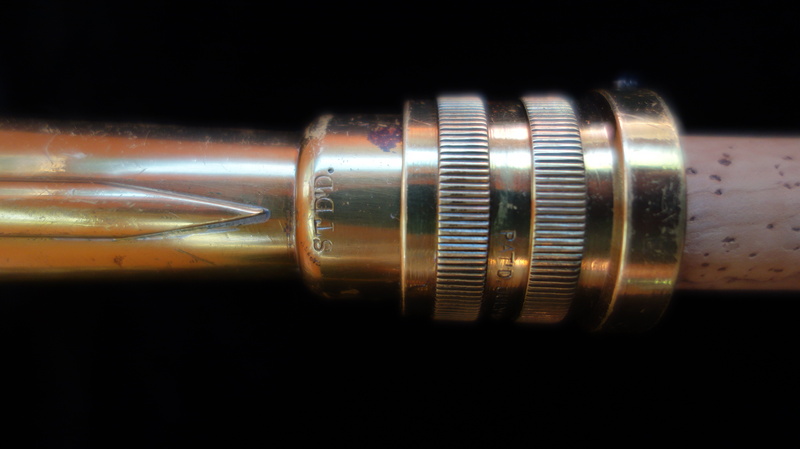 Many of the bare brass horns, after lacquer was common, were sent back to the factory by their owners to be given a coat of lacquer, a condition known as “first lacquer”. 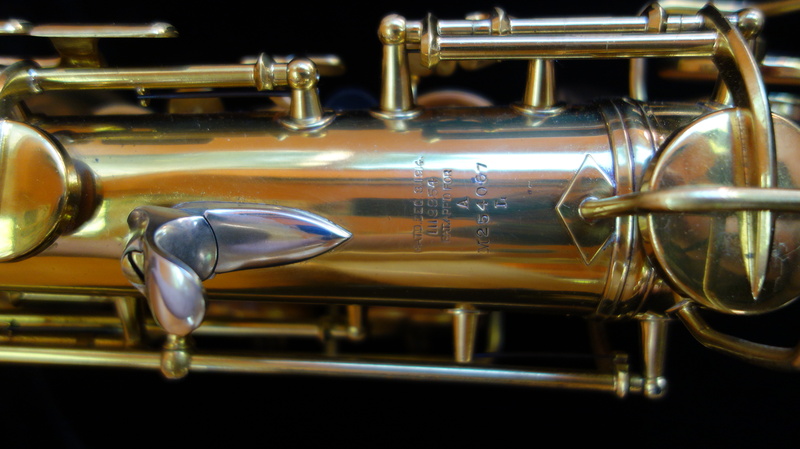 Not a relacquer since the buffing necessary is minimal, but not the same as original lacquer either- and that is what I safely assumed this horn was. 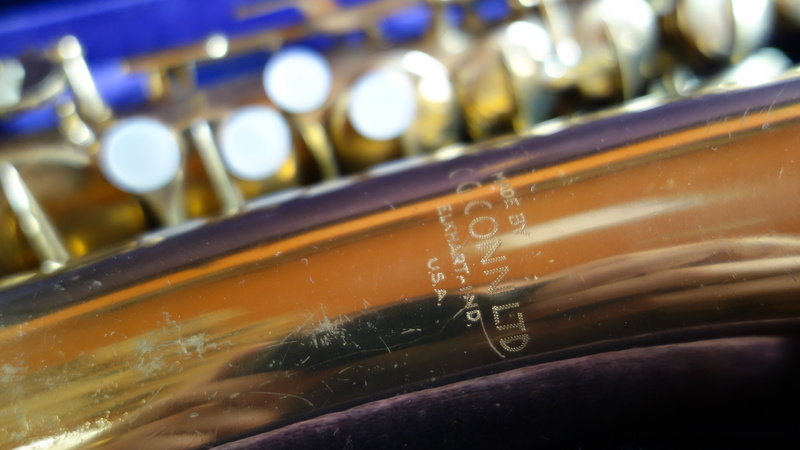 But to my surprise, the engraving and serial number on this horn are quite sharp, with the “smoking gun” tell-tale of the engraving going through the lacquer as it would have for a saxophone lacquered at the factory- and it also wears its original pads! 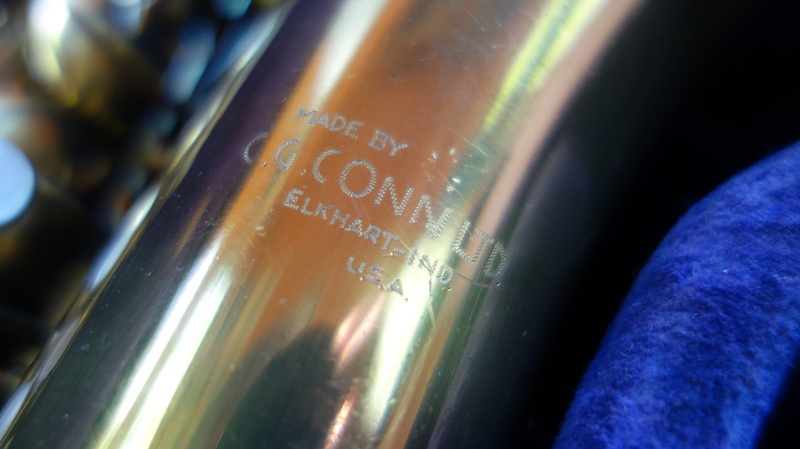 So instead of a “first lacquer” horn as I expected (and have seen quite a few of, recognizing their features easily), I was pleasantly surprised to find one of the first original lacquer Conn 6Ms, the earliest I have personally seen. 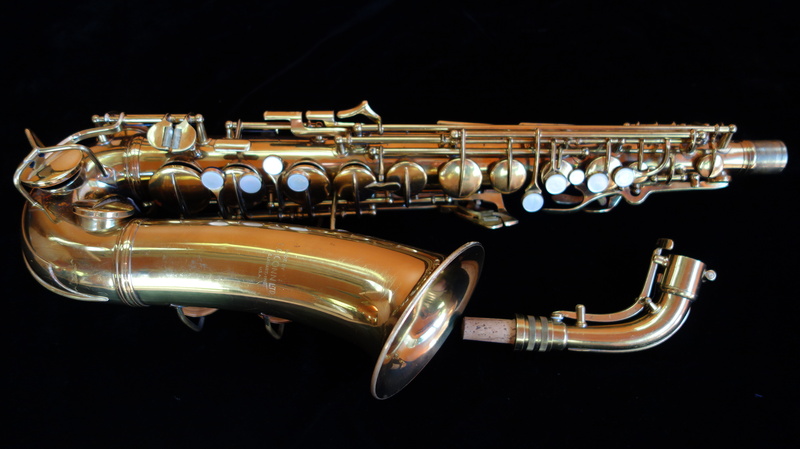 Add to this situation the exceptionally clean physical condition, and this saxophone is a very cool piece of history as well as a very nice saxophone. And with such a beautiful blank canvas on the bell and body, this horn is just begging to be fully engraved, something I am sorely tempted to have done and keep it for myself. 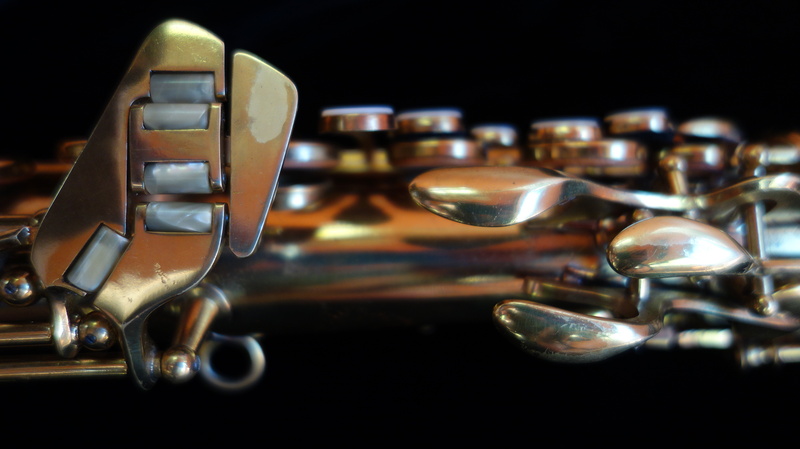 The neck is a “STD’D” stamp, and this saxophone being a 254k serial number means this is one of the first transitional horns with the full assortment of 6M features- and even one feature that was cut out for regular 6M production, the swiveling thumbrest. These are fantastic horns that are quite undervalued in my opinion, but this means that I can occasionally find them cheap in clean physical condition, put a full mechanical overhaul on it, and still sell it to you for less than an imported “professional” saxophone- and this horn will still be making music 100 years from now, being played by someone like you and repaired by someone like me. They don’t make ’em like this anymore. I’ve been wanting a nice clean 6M transitional for myself for a while now, so there is a chance that if this one doesn’t sell that I will keep it for myself. As long as this horn has a price on it though, it is for sale and available to be bought.